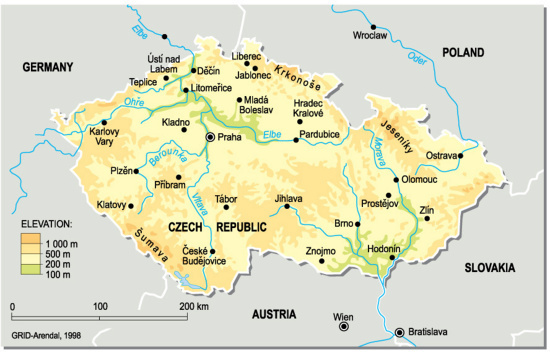 Czech Republic (Czechia) is located in Central Europe, southeast of Germany, comprising of 78,866 sq km. It has a population of 10,241,138 (2005). Major environmental concerns are: air and water pollution in areas of northwest Bohemia and in northern Moravia around Ostrava present health risks; acid rain damaging forests; efforts to bring industry up to EU code should improve domestic pollution.